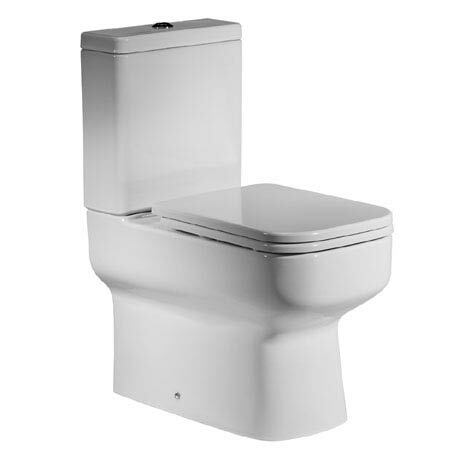 The soft squared Geo Close Coupled WC, Cistern & Soft Close Seat is a contemporary styled toilet with a fully back to wall design that is perfect for an uncluttered look. Manufactured from high grade ceramic, the cistern incorporates a dual 4.5/3 litre water saving flush operated by a chrome flush button. A stylish thermoset plastic soft close seat is included with chrome hinges and a top fix design.